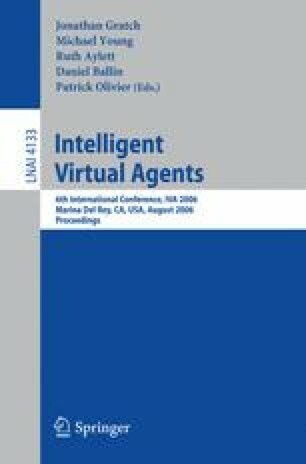 To facilitate lifelike conversations with the human players in interactive dramas, virtual characters should follow similar conversational norms as those that govern human-human conversations. In this paper, we present a model of conversational norms in a decision-theoretic framework. This model is employed in the Thespian interactive drama system. In Thespian, characters have explicit goals of following norms, in addition to their other personal goals, and use a unified decision-theoretic framework to reason about conflicts among these goals. Different characters can weigh their goals in different ways and therefore have different behaviors. We discuss the model of conversational norms in Thespian. We also present preliminary experiments on modeling various kinds of characters using this model.